SEPT. 17, 2015 UPDATE: Jason Johnson has been arrested. 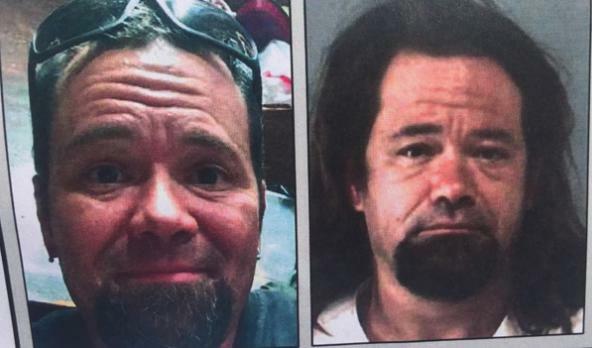 The suspect who broke into the Riverside County Animal Services shelter in Jurupa Valley, Calif., over the weekend, resulting in the deaths of at least four dogs, was named today as Jason Johnson, CBS Los Angeles reports. Witnesses came forward and identified Johnson, who is still at large and facing counts of animal cruelty, burglary and vandalism. According to the Press Enterprise, Johnson stole three Pit Bulls who were under quarantine and facing possible euthanasia. He then broke the locks on other cages to try to cover up his motives. Investigators believe Johnson knows the owners of the three Pit Bulls. Surveillance footage showed Johnson using bolt cutters to slice through the locks on the cages. He broke into a total of 22 cages, leaving 15 of the locks stacked neatly in a pile. A crime prevention analyst from the sheriff’s department is determining how to improve security at this shelter and three others in Riverside County. Investigators believe Johnson may have climbed over a fence and broken the kennel locks without setting off an alarm. Two non-profit organizations that work with the shelter — Animal Solutions Konnections (ASK) and Shelter Transport Animal Rescue Team (START) — offered a $35,000 reward to anyone with information that leads to a conviction. The Humane Society of the United States announced today it is also offering a $5,000 reward. Johnson, also known as Jason Neunzer, is white, 5-foot-8, 185 pounds, with medium-length brown hair and brown eyes. He may be driving a 2006 white Dodge Ram pickup with the license plate number 00064R1. Anyone with information on Johnson’s whereabouts is asked to call Investigator T. Gonzales at the Jurupa Valley Sheriff’s station at 951-955-2600.